It seems like everyone loves bread pudding. It's comfort food. 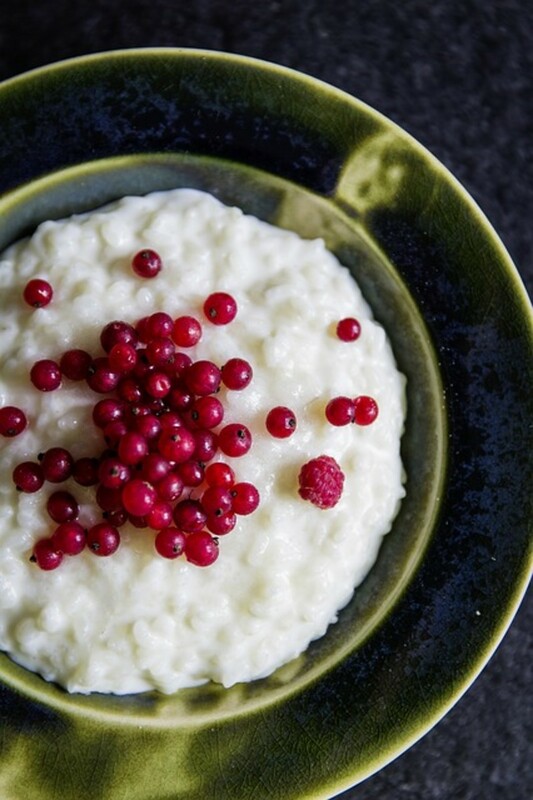 It's a humble dessert, but dress it up a little, and it can be quite elegant. Best of all, it is quick, easy, and inexpensive. Why Is Bread Pudding So Popular? 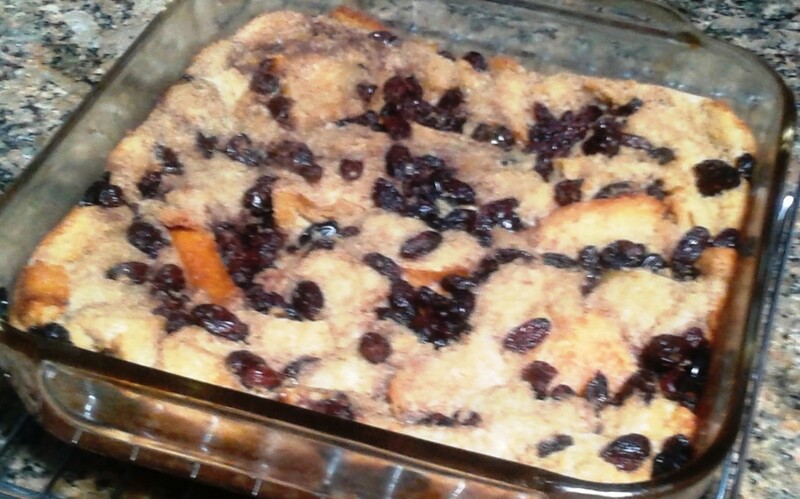 Bread pudding is a favorite of frugal cooks. It uses leftover bread that might otherwise go to waste. It’s quick and easy to make. It uses only a few inexpensive ingredients that you are likely to have on hand. And it is so delicious!. I had my first slice of bread pudding when I was 11 years old when I entered middle school. It was served in the school’s cafeteria. It was love at first bite. It’s a not-too-sweet treat for the taste buds, and it has a dense spongy texture for a great mouth-feel. Every student was required to spend one day every few months to helping in the school’s cafeteria. The heels of the bread--the two end slices in a loaf of sliced white bread--were not used for sandwiches. Instead they were gathered up, ripped into pieces, and soaked in a milk-egg-sugar mixture. 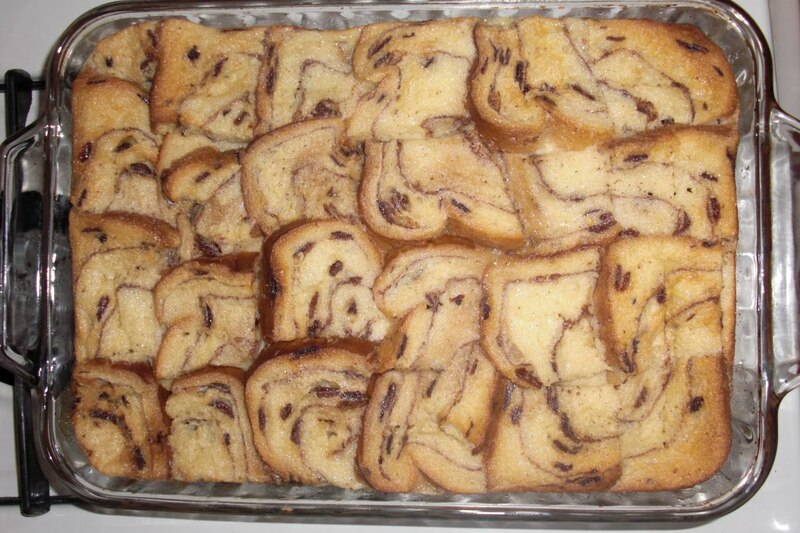 The soaked bread was put into large pans and baked to make bread pudding for lunch. Bread pudding can be served warm with a variety of sauces or garnishes like whipped cream or ice cream. It can also be eaten cold out-of-hand for a quick breakfast or snack. Whenever I make it, I keep the leftovers in the refrigerator. It won’t be there for long—my family and I can’t resist grabbing a slice. Many people feel that bread pudding is a comfort food. I suppose that is one of the reasons I like it do much. Bread pudding is usually baked in a baking dish, but you can also bake it in a baking bowl or soufflé dish. If you bake it in a bowl, scoop it out with a spoon onto individual dessert plates or bowls. What Is the History of Bread Pudding? A form of bread pudding is popular in just about every country. If bread is part of the cuisine, bread pudding is probably also present. It can be made as a dessert or as a savory side dish. In the United States, a savory bread pudding is called stuffing. Just omit the sugar and add chopped onions and savory herbs like parsley. According to food historians, bread pudding goes back to the early 11th and 12th centuries. In 13th century England, bread pudding was known as “poor man’s pudding,” because it was popular dish with the lower classes. Of course, people with little money would make this dish—it eliminates food waste, it’s inexpensive to make, and it is filling. Today it has surpassed its humble origins and can be found in trendy restaurants and in the kitchens of gourmet cooks. It becomes an elegant dessert when gussied up with fancy sauces and toppings and when made with fancy breads like croissants or brioche. Some recipes for bread pudding call for heating the milk and preparing a custard to pour over the bread. You can find those recipes in books or online. I’m not giving them here because I’m sticking with quick and easy. The quantities of the bread and liquid do not need to be exact. Just be sure all the bread is thoroughly moistened until it is mushy and only a little bit of liquid remains at the bottom of the pan. Butter the bottom and sides of an 8-inch square baking pan. You will need 4 to 6 slices of stale bread. 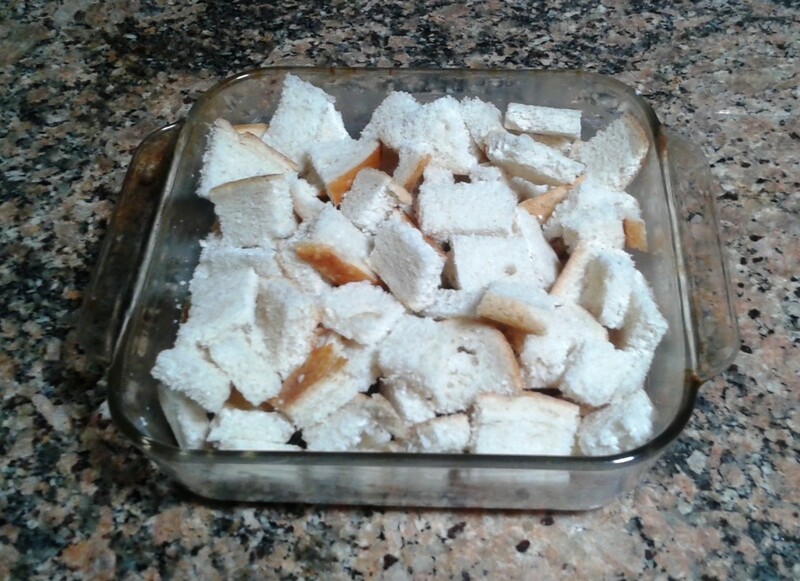 (Stale bread will absorb the liquid better than fresh bread.) Cut the bread into squares, about 1 inch square. You should have about 6 cups of bread, measured by loosely packing the bread into the measuring cup. Place the bread pieces in the pan. Sprinkle the raisins over the top. Beat the remaining ingredients together in a bowl. Pour the mixture over the bread. Press down on the bread with the back of a spoon to force the bread to soak up the milk mixture. Most of the liquid will be absorbed by the bread. It will look and feel mushy. Let the bread mixture soak for at least 10 minutes while you preheat the oven to 350 degrees. When the oven is ready, put the pan into the oven. Bake for 1 hour or until the top is nicely browned. When done, remove the pan from the oven and place it on a rack to cool. When cool cut into squares (cut into thirds in each direction to create nine squares) and serve as-is or add a topping. This is my go-to book for bread pudding. It provides 60 recipes for all types of bread pudding. Bread pudding is not just for dessert--savory bread pudding makes a great side dish. If you love bread pudding as much as I do, you'l love this book. You can butter the bread before cutting it into squares or you can dot the top of the pudding with butter before baking. You can omit the raisins and substitute chocolate chips, dried fruit, or small fresh berries, like raspberries or blueberries. If you want to use frozen berries, add them in while frozen. You can vary the milk ingredient. Use evaporated milk (or part evaporated milk and part water) if you don't have fresh milk. You use half-and-half or even heavy cream if you dilute it with milk or water.. You can use skim milk, 1%, 2%, or whole milk. You can use soy milk or almond milk. You can use any kind of bread. Try it with croissants, rolls, sourdough bread, hot dog or hamburger buns, or dark breads like whole wheat bread or pumpernickel. You can vary the sweetener. Try it with light brown sugar. You can use honey or maple syrup--just add a little more bread to soak up the extra liquid. You can soak the raisins in alcoholic spirits like rum, whiskey, or bourbon or a flavored liqueur. Or you can just add two tablespoons of the spirits to the liquid ingredients. Serve topped with ice cream; vanilla ice cream is always good or try salted caramel or butter pecan. Serve with store-bought ice cream sauce. 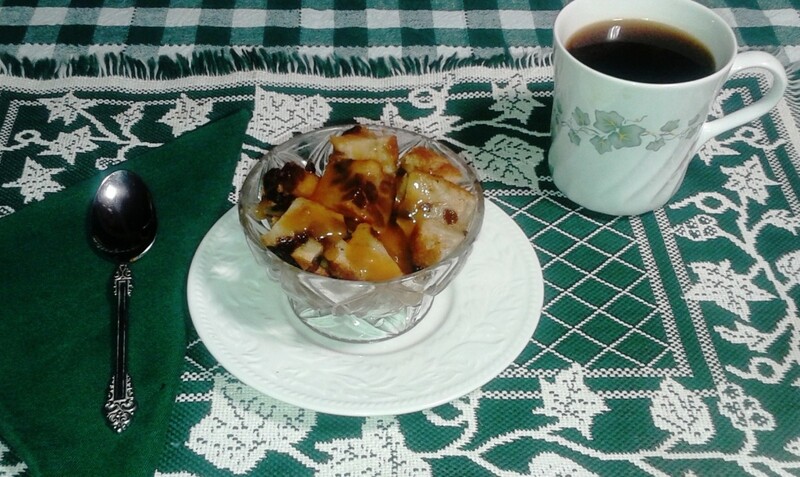 Cut the bread pudding into small squares and place in a nice cut glass serving dish. Add your favorite topping. Take about 15 caramel candies. Unwrap them and put them into a small microwave-safe bowl with two tablespoons of water. Cover loosely and melt the caramels in the microwave on high for about one minute. Remove the bowl from the microwave. Stir until the caramels are completely melted. Return to the microwave for about 15 seconds, if needed. Serve the sauce immediately. It will solidify when it cools. Slice two cups of strawberries. Sprinkle ¼ cup of sugar over them. Toss to coat the strawberries with the sugar. Let the strawberries sit in the refrigerator for an hour. The strawberries will release their juice. You can use them like this or you can puree some of the strawberries. To puree: Take about one third of the sugared strawberries and put them in a blender with ¼ cup of water. Blend with the pulse button until pureed. Pour the puree over the strawberry slices and mix together. Use a firm red apple like a Gala apple. Stand the apple so the stem end is up and slice down through the core. Then cut each half again so you have four quarters. Remove the core. Slice each quarter into four or so slices. It is not necessary to peel the apple. Put 2 TBS butter into a frying pan. When the butter melts, add the sliced apples and a pinch of salt. Sprinkle 1 TBS of sugar over the apples. Sauté stirring occasionally with a wooden spoon, being carful not to break the apple slices. The apples are done when they have softened and changed from white to golden brown. It should take about 10 minutes. Take the poll, just for fun. How much do you like bread pudding? Is cinnamon a good addition to make bread pudding? Yes. Sprinkle some on the top before baking or add one teaspoon to the sugar before you add it into the milk mixture. Also, you can always lightly dust the top of the bread pudding with cinnamon sugar when you serve it. To make cinnamon sugar, mix together 1/4 cup sugar with 1 tbsp cinnamon. Put it into an old spice jar with a tight cover so you can keep the leftovers. Cinnamon sugar is also great sprinkled on buttered toast. I welcome your comments. Do you have any tips for bread pudding? 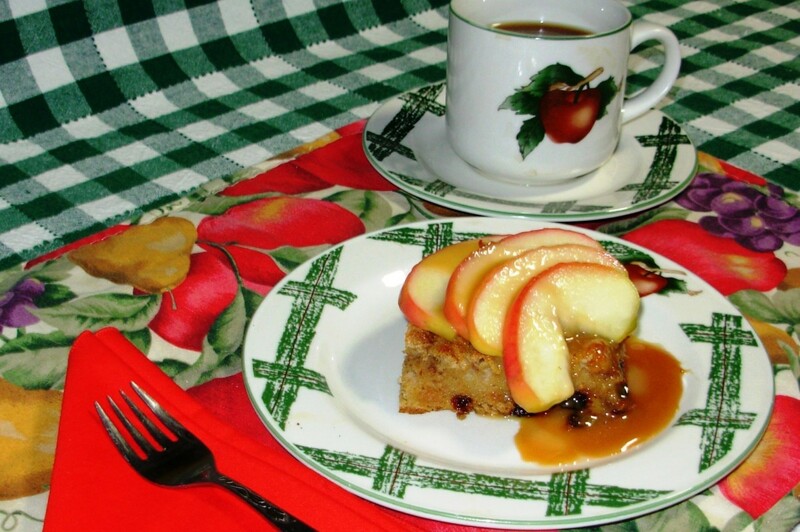 Mary Wickison: I love bread pudding because I remember it from school days. I hope your husband likes it "dressed up". If not, you get to eat it all yourself. Cut it into squares and freeze it so you can enjoy some whenever you want. I love bread pudding and haven't had it in ages as my husband remembers it from his school days and says he doesn't like it. I think I need to dress it up with some of your suggestions and rename it. When he enjoys it, I will keep quiet about its true origins. Besariem: What a great idea freezing portion sizes unbaked. When I make it, I just can't stop eating it--it is so good. Freezing it is great portion control. The recipe I gave here is very basic so as to keep it quick and simple using ingredients you can keep on hand. Sometimes, to be extra wicked, I'll throw in chocolate chips. Raisins are great in it also. But I make it plain if I am going to use a sauce. I alone in my house am a dessert person. My husband has no sweet tooth and my son will not eat carbs if he can help it. The good thing about that is- more bread pudding for me! I generally make a batch and freeze portions unbaked which I pop in the oven when I need a sweet treat. Next time I am going to try your recipe. 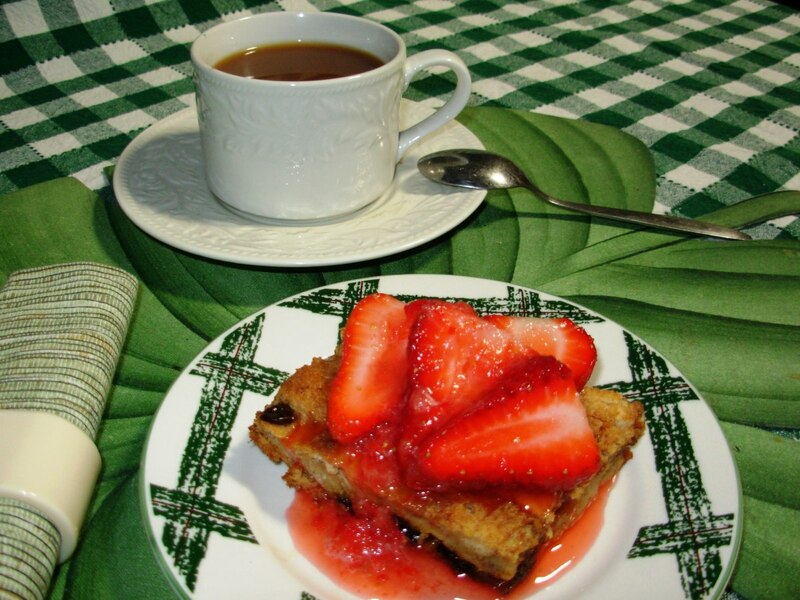 Plus, I've never had bread pudding with strawberries, but what could be bad about that? Nothing! When I do make it, I'll come back and let you know what I think! Thank you, Akriti Mattu, for your comment and vote. You can use any kind of bread in this recipe. If you have any leftover bread give it a try. 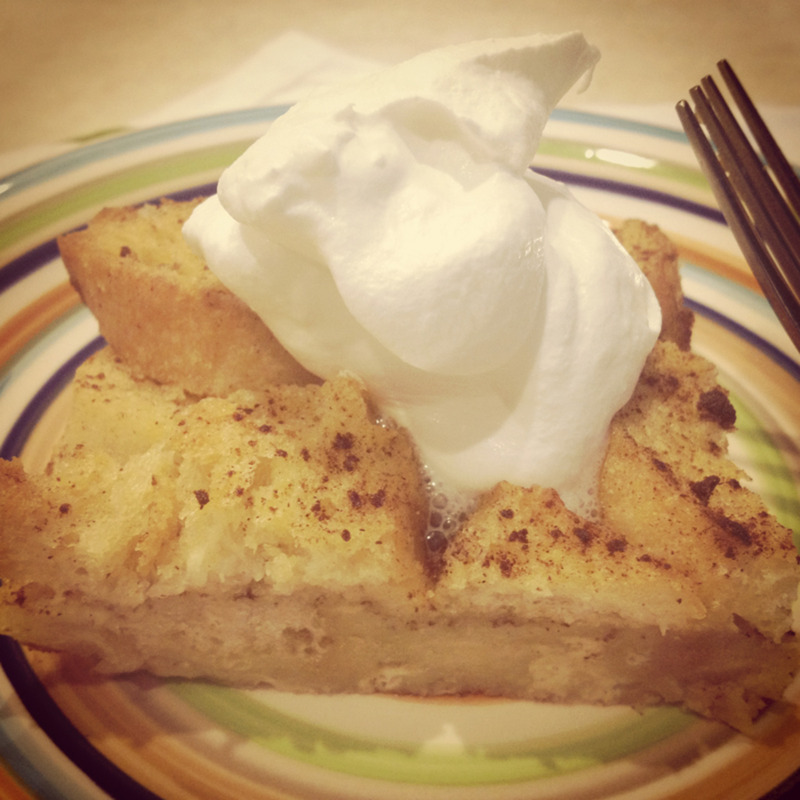 ChitrangadaSharan: Everyone loves bread pudding. It is so simple, so basic, yet do delicious. And it uses up stale bread. Thanks for your comment and votes. This sounds really delicious and easy to prepare! 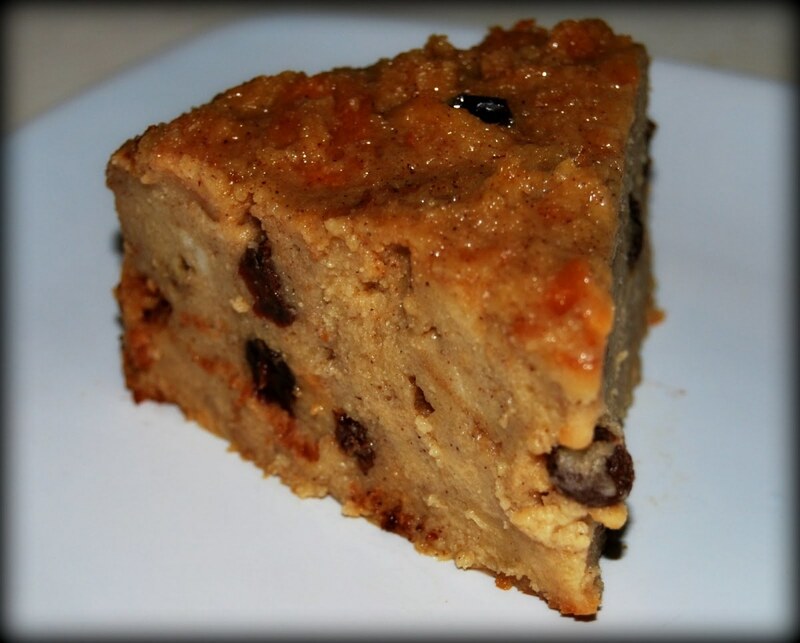 Bread pudding is one of my favorite for its simplicity and I love your presentation very much. Thanks for sharing the details and the inviting pictures! Voted up and pinned! lawrence01: good food and fond memories go hand in hand. Thanks for commenting. Been a while since I had it but reading the hub brought back fond memories of cold nights and hot pudding. cam8510: Let me know how this bread pudding compares to the one in the restaurant. It is amazing that for so many people bread pudding is love at first bite. You can always add in extra ingredients to try to duplicate the taste of the one you had in St. Croix. I was down in St. Croix, US Virgin Islands a few weeks ago. We ate at a really nice restaurant one evening, and I tried the bread pudding. We went back the next night just because of the bread pudding. You said quick and easy, so that's why I dropped in. Thanks for the recipe. 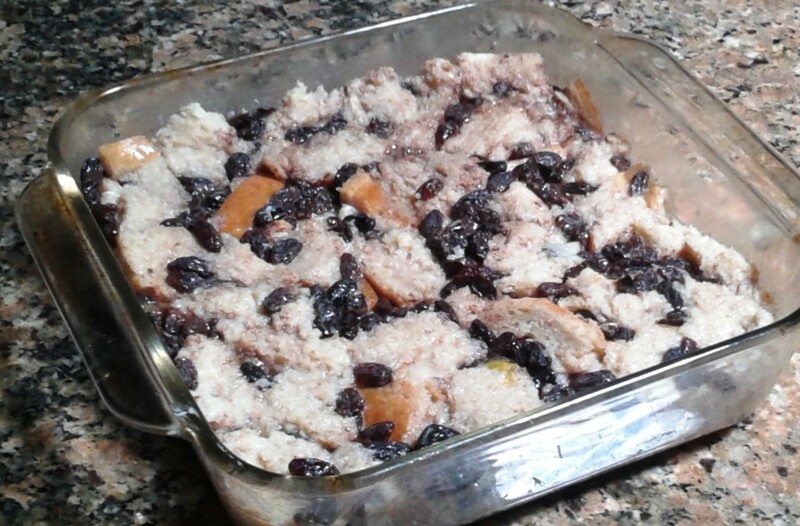 Thanks AliciaC: I actually hadn't made bread pudding in a really long while. My son works at a restaurant and brought home some leftover bread. It usually goes to charity, but they didn't come for the bread that night so the employees got it. I decided the universe was telling me it was time to renew my acquaintance with bread pudding. And if I was going to make bread pudding, then I might as well write a hub on it. letstalkaboutedu: I'm sure Paula Deen's recipe was delicious. 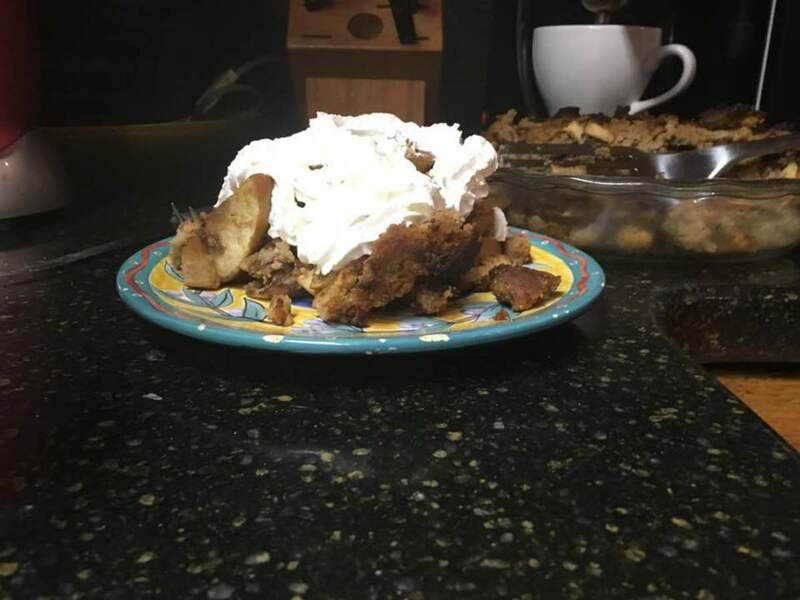 My recipe is simple and basic meant to get people started on bread pudding. Please let me know how it compares to Deen's. 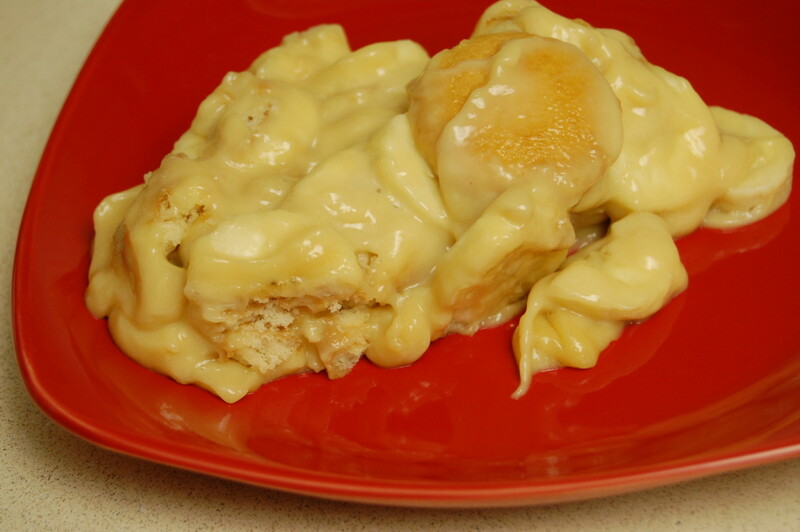 I just made bread pudding yesterday (Paula Deen's recipe with pecans and vanilla sauce). It was gobbled up so now I'll make yours, Catherine, with the caramel sauce! I've loved bread pudding ever since childhood! Thanks for sharing the recipe and all the delicious variations. MsdDora: Maybe you could make the bread pudding with gluten-free bread. Thanks for commenting. Bread pudding makes me neglect my gluten intolerant problems; that's how much I love it. Thanks for the recipe. D. J. Hudson If you allow yourself a slice of bread you can have a slice of brad pudding. Make it to bring to your book club or bridge club. There is something so special about bread pudding, isn't there? My adult son always wants m to make it for him. Thanks for sharing your stories. It made me laugh. favorite deserts! I cannot make it because my husband does not care for sweets. ( We've celebrated our 30th. wedding anniversary.) But, he did not tell me that he did not care for sweets until AFTER we were married!! I call that 'Bait and Switch'! It seems pointless at this juncture of life. different toppings and a soft serve ice cream right next to it. Yes, I have to confess that I elbowed a few of those bigger kids out of my way. You have to put them in their place early, right?? one day I caught a glimpse and thought someone was closely following me. annart: Thanks for your compliments. Be sure and let me know how you like it when you get a chance to make it. Thanks for mentioning the sauce recipes. I always try to go the extra mile with my hubs. I invented each of those recipes just for this hub. I wanted sauces that were super quick and easy. Thank you FlourishAnyway. I'm glad I have tempted you to give this a try. It's a humble dessert, but so good. Thanks for complimenting my photos. melissae1963. A ten year old child could do this recipe. I deliberately made it really simple. Add the sauces and you will have something really special. Reading and responding to the comments got me hungry, so I just had a slice of the bread pudding leftover from my photo shoot. Still yummy. 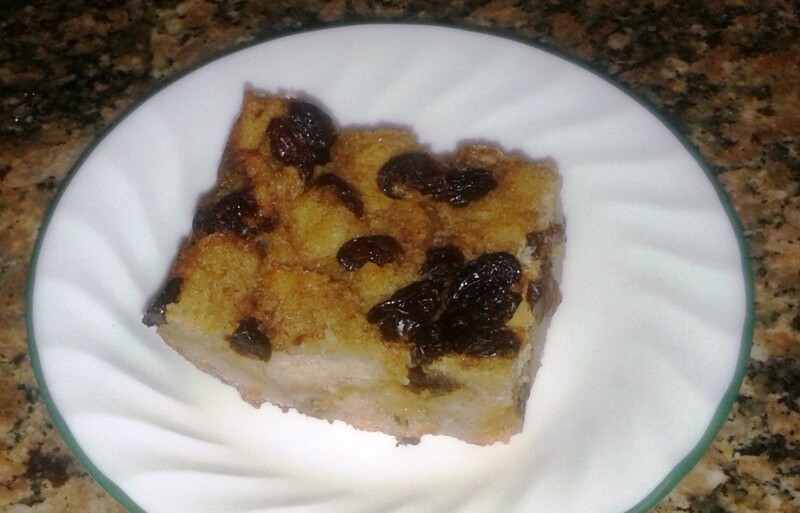 These are some great bread pudding tips and a fantastic recipe. You have made it seem simple enough that even a nonbaker like me could do it. Thanks easylearningweb: I'm not a very good photographer. I take 20 pictures to get one that I like enough to use. The tablecloth made the pictures colorful. It also unified the pictures, because the placemats and china changed, but the table cloth was the same in each one. Thanks for noticing and thank you for your comment. Poetryman6969: A sauce just makes it a little extra special and makes for a beautiful presentation. Fancy enough for company. If you use a store bought sauce, it is super quick and easy. Even pancake syrup might be fun to try. Very nice hub, and I like how you added the tablecloth as background, very creative! I don't believe I have ever tried special sauces with bread pudding. Maybe my like can turn to love! mary615: I've never had the milk curdle. Sometimes if milk is on the verge of going bad and I put it in coffee, it will curdle. Perhaps something like that is happening. Make sure you are using fresh milk. Putting odds and ends of bread in the freezer until you are ready to make the bread pudding is a great idea. I do that myself. The water bath, or bain marie, is sometimes suggested. I haven't tried it because I like quick and easy. Thank you for commenting. billybuc: Give bready pudding a try. It's easy to make and you probably already have all the ingredients in your house. You are missing out on a great treat. I grew up with my mom's bread pudding, and I still make it often. I save the butts of bread and freeze them to use. My problem: sometimes after it is cooked, the milk curdles. It still tastes good, but it's hard to cut to serve. One recipe I have says to cook it in the pan immerced in a pan of water. I do love it with raisins. Voted UP, etc. and shared. P.S. Tell our friend, Bill he doesn't know what he is missing! I've never had it. Heard about it most of my life, but never tasted it. Thanks for the recipe, Catherine! I love bread pudding and my daughter makes a mean one. I love the phrase 'gussied up'; haven't come across that before! You've made this such an interesting hub with all the extra information and the variations on the theme; so much better than just a recipe hub. Now I feel hungry! Can't make this until I get home in about a week's time so I'll store this on my desktop for instant trial when I arrive. I'm very much of a dessert person, but I've never made this! Thank you for both the recipe and the suggestion on variations. Great original photos to show off your ideas, too. Voted up and more, 5 stars! Yum! Let me know how it turns out, BarbRad. It wrecks my diet because I like it so much, I always have to have a second piece. But almond milk is very low calorie. You might also be able to cut back on the sugar to keep the calorie count down. I'm very tempted to give this a try. I think I'll used leftover heals from my raisin Ezekiel Bread with Almond milk. That might be one dessert that won't break our diet plan. Dressage Husband: There is one basic recipe and 1,000 variations. You could make it every week for a decade and never repeat yourself. "Tarting it up"-- I wish I had said that. TheBizWhiz: There is one basic recipe and 1,000 variations. Make it for Mother's Day, so you can share it with her (or remember her if she has passed.) Thanks for commenting. Kristen the best thing abut this recipe is that it takes only 15 minutes or less to assemble and you probably already have the ingredients on hand. Thanks for your comment. This is pretty much the standard British recipe for Bread Pudding, but I love the different ways of tarting it up that you have added. I will have to try some, or even all of them, over time. 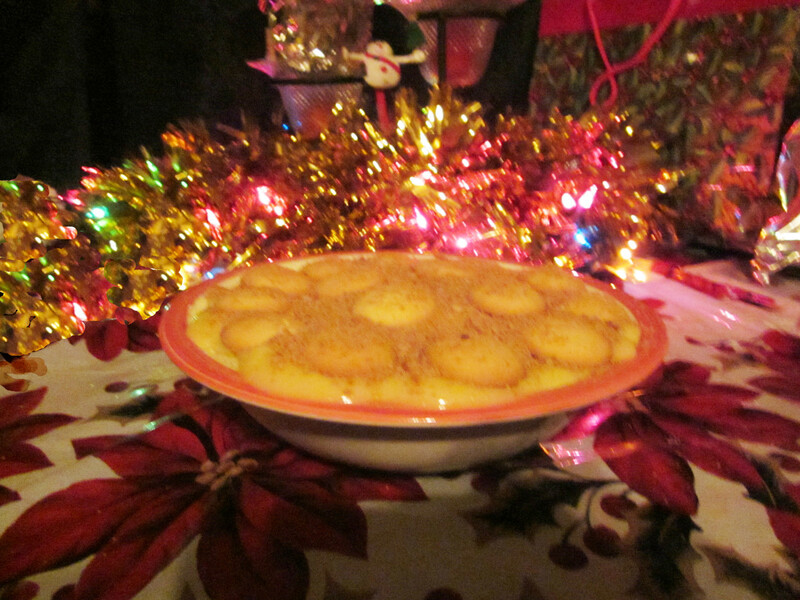 My mother uses the same recipe and it is delicious! I might make myself some next week. Thanks. Catherine, this look delicious and yummy to eat. I haven't had bread pudding in ages. I might want to try this recipe real soon. Voted up for useful!